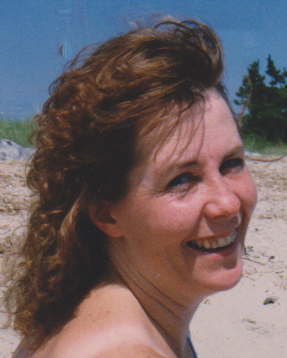 Kim D. Kriz, 58, of 85 South Ave. Bradford, passed away Friday, August 17, 2018, surrounded by her loving family, at Bradford Regional Medical Center. Born May 5, 1960 in Ogdensburg NY, she was a daughter of late Rosco Barr and Cecilia (Compeau) Arquitt who survives. On November 16, 1996 in Clinton MA, she married Steven E. Kriz, Sr. who died September 12, 2014. Kim formerly worked at Weetabix Corporation. Kim's greatest joy was spending time with her grandchildren. Surviving in addition to her mother Cecilia, is one son, Jeremy Ryder, of Clinton MA, one step daughter, Tammy (Matt) Komidar, of Cuba NY, one step son, Steven (Nina) Kriz Jr., of Hudson MA, one brother, Steve Arquitt, of Clinton MA, two step sisters, Terri Arquitt, of Marlboro MA, and Renee Arquitt, of Ocala FL, one step brother Dennis Arquitt, of Clinton MA, seven grandchildren, Kayla, Justin, Crystal, Jenya, Emily, Nicholas, and Elizabeth, three great grandchild, Vincent, Aubrey, and Dino, and several nieces and nephews. She was preceded in death by her father, husband, and one daughter Jennifer Lee Ryder who died April 26, 2015. Family will be receiving friends on Tuesday August 21, 2018, from 11:00am to Noon in St. Francis Church, where a Mass of Christian Burial will be held at Noon with Rev. Raymond Gramata, pastor as Celebrant. Burial will be in St. Bernard Cemetery. Memorial contributions, if desired, may be made to Guidance Center 110 Campus Drive Bradford, PA 16701.